SOD Season Opener at Crystal Motor Speedway tonight is cancelled due to weather. It is rescheduled for Saturday, May 14th. Erie, MI (April 28, 2016) – Engine Pro Sprints On Dirt presented by ARP is partnering with Motor City Racing Promotions (MCRP) to provide live timing and scoring for all 2016 SOD events. MCRP’s Scott Menlen and Justin Sharp will manage all race control activities including the electronic scoring process; MCRP will install necessary equipment at tracks that are not yet equipped with it. 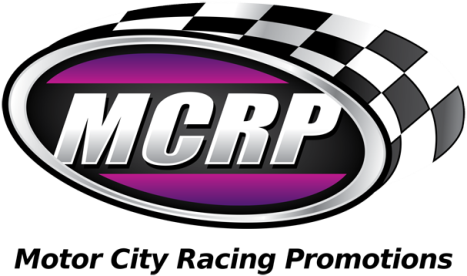 MCRP will rent transponders to all competitors that do not own their own for $15.00 per SOD event. The event scorer, an MCRP trained and experienced official, will perform all event scoring activities and stream races live. Race results will then be processed by SOD Event Manager Pat Holzinger for race payouts. To access the Engine Pro Sprints On Dirt presented by ARP Engine Pro Sprints on Dirt at Crystal Motor Speedway live stream, go to www.sprintsondirt.com and click on the “Live Scoring” tab. Timing & scoring will air live immediately following Cabin Fever 100 practice at Springport Motor Speedway at approximately 6:00 PM EST. To learn more about Motor City Racing Promotions, go to www.motorcityracing.co. For more information about Engine Pro, go to www.enginepro.com. For more information about ARP, go to www.arp-bolts.com. The full 2016 Sprints on Dirt schedule, rules, current news, and other information are available at www.sprintsondirt.com. Erie, MI (April 12, 2016) – The Engine Pro Sprints On Dirt presented by ARP will kick off the 2016 season at Crystal (MI) Motor Speedway on April 30th. It will also be the first race of the five-race MAHLE/Clevite Beyond Limits Challenge (BLC) that will pay the mini-series winner $1,000. The season opening race will be the first under the exciting new Sprints On Dirt unlimited sprint car format that has drawn extensive attention throughout the sprint car racing world. The feature will pay $400 to start, and heat race sponsors Engler Machine & Tool, Lane Automotive, and COMP Cams will pay their respective heat race winners $100 for not only this event, but every 2016 SOD race. Always one of the most popular venues for Sprints On Dirt, the three-eighths mile Crystal Motor Speedway, founded in 1952, is the only speedway that has been on the SOD schedule every year since its first season in 1980. Competitors should contact SOD to reserve tires for pick up at Crystal. Competitors who do not reserve tires will be allowed to purchase one set of rear tires until all competitors have a set, then additional tires can be purchased. Payment by cash, check, or credit card (2.75% bank surcharge added to credit card payments) accepted. To learn more about Crystal Motor Speedway, go to www.crystalmotorspeedway.com. For more information about Engine Pro, go to www.enginepro.com. For more information about ARP, go to www.arp-bolts.com. Erie, MI (April 10, 2016) – Engine Pro Sprints On Dirt presented by ARP has released its sponsor partners list and details of cash and contingency awards for each of the 2016 races. Engine Pro will once again sponsor the Lucky Dog Award that will pay $100 to the driver drawn from all competitors at each SOD event. Other cash awards to be paid at each 2016 event are the Engler Machine & Tool heat race winner ($100), the Lane Automotive heat race winner ($100), and the COMP Cams heat race winner ($100). Driver points and performance throughout the season will determine winners of the RockAuto.com Sprint Car Rookie of the Year ($500), the RockAuto.com Series Rookie of the Year ($500), the XYZ Machining Sportsman of the Year ($300), and the XYZ Machining Crew Chief of the Year ($300). MAHLE/Clevite is the sponsor of the 2016 Beyond Limits Challenge, formerly the Short Track Challenge. This five-race mini-series has its own point fund payout for the top five with $1,000 going to the winner. Contingency sponsors are KSE Racing Products (Hard Charger for each event), Allstar Performance, ATL Racing Fuel Cells, BR Motorsports, Diversified Machine Inc. (DMI), King Racing Products, Kistler Racing Products, K2W Precision/Keizer Aluminum Wheels, Maxim Racing, Racing Optics, Rod End Supply, Schoenfeld Headers, Simpson Racing Products, and Ti22 Performance. Eligibility for cash and contingency awards vary. For full details, go to the Competitor Info tab in the menu at the top of the page. The Sponsorship Awards page details all awards. The Sponsorship Awards Requirements page gives all details regarding eligibility such as decal display and placement, race attendance, SOD membership, etc. Also under the Competitor Info tab is the Driver Member form, including a 1099 form, for drivers who want to be eligible for the year-end point fund and other awards. There is also a tab for the Nonmember form that to provide announcer information about the driver as well as tax information (1099 form). Both forms are interactive and can be downloaded to fill out on a computer or to print and fill out by hand. A driver must complete either a driver or nonmember form before receiving any SOD payout. 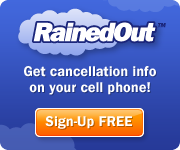 To learn more about any Sprints On Dirt sponsor partner, do an online search for their website.